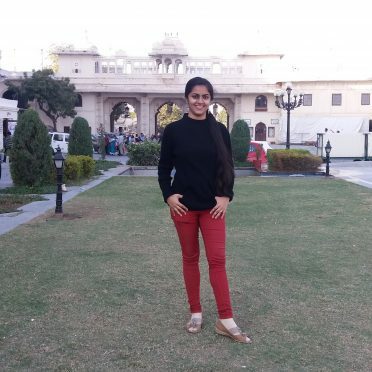 About the Author: Komal Pahilajani, a student of University Maharani’s College, Jaipur, talks about her first internship experience and how it helped her in discovering herself. Once upon a time, there lived a dame who was a sheltered young lady, innocent of the ways of the world. She had never spared a thought for her qualities, talents, interests, strengths, or weaknesses and lived in a blissful ignorance till the internship bug finally bit her. It all began with a phone call from a classmate mentioning that he was working as a content writing intern. Something clicked inside her mind on hearing the note of pride and purpose in his voice. She also wanted to do something other than studying all day and stuffing her mind. Taking reins into her hands for the first time, she decided to gain experience in something she enjoyed, writing. 1. When it came to technology, she was a toddler. She didn’t even know what Google Drive was. The only saving grace was that she didn’t think it had anything to do with cars or roads. 2. She had never used Google Slides or Docs before in her life. Her knowledge was sadly limited to MS PowerPoint. 3. She knew zilch about setting up a blog though she swore she’d heard about WordPress before. While initially daunted because of her congenital technological backwardness, she somehow managed to gain enough know-how to create a blog and publish posts that could be presented as her sample write-ups. Creating her own blog, coming up with interesting ideas, and writing articles – all this piqued her interest in what lay ahead and she started applying. She had her first telephonic interview with Nagno which she handled with a lot of anxiety. She was rejected, but it gave her important lessons. Soon, she received shortlisting emails and calls from several employers including Qriyo, Qpedia, Colour Motions, Smart Web Point, Storytap, etc. but couldn’t find the right fit. She even got hired for the first two, but it didn’t last long. In response to the next question, ‘Which subject are you interested in?’, she mentioned economics and added that she had an experience of teaching social science to middle school children and had a keen interest in history and political science. Lastly, the application required her to draft an explanation of a topic of her choice; she wrote an article on ‘Inflation – The most iniquitous tax’. After a few days, she received a reply from the company that she was shortlisted. After submission of her shortlisting task, which was creating a presentation on ‘Globalisation and Indian Economy’ in an interesting format created by Phyzok along with speaker notes that would be used by the voiceover artist as a script, she was hired as a subject matter expert for social sciences. Her job profile included creating interactive, informative, and awesome educational content in the form of case studies (using Google Slides, mind you) that went beyond the school syllabus and provoked a learner to think, reflect, and understand concepts. Her job was to create case studies on various chapters of social science subject taken from NCERT books for classes 8 to 10, covering all the topics of a chapter. She worked primarily on political science and history. She not only created factually accurate, interesting, and visually appealing case studies with engaging content, graphics, and multimedia but also wrote the script for explaining a content slide. She had to make case studies on about three chapters a week and each chapter was required to have a minimum of 5 case studies. After submission of a chapter, the team reviewed it and she would incorporate suggestions or corrections if any. The job was basically researching, making an innovative presentation of that research in form of slides, and explaining concepts by connecting them to real-life examples to make them more relatable. The work entailed extensive and intensive research, cross-checking of facts, compiling content for further reading on the given topics, creating infographics, and writing in an interactive, fun, and student-friendly style. The internship offered her an opportunity to expand her existing bank of knowledge by regular deposits of facts, subject terms, and knowledge bites. She learnt how to research a topic and present it in an innovative manner and about valuable learning resources. She learnt the value of time and the importance of consistent hard work and focus. The instances when she couldn’t deliver the case studies on time due to her insistence on quality motivated her to find the balance between doing the right things and doing things right; the balance between effectiveness and efficiency, which is as elusive as water in a desert. She recalls an incident when she received no communication from her intern coordinator regarding the next assignment for almost a week. Anxious and worried, she contacted the company’s CEO, who was courteous enough to reply instantly and assuage her concerns. This made her understand the importance of timely communication in building mutual trust and stimulated her to give prompt replies. In hindsight, it wasn’t only the internship that gave her a memorable, rewarding, and enriching experience but it was the whole package: the pre-internship activities, writing answers in applications, thinking about why she should be hired, the interview process, working on shortlisting tasks, and even something as commonplace as writing emails – all of these made her work experience a wonderful story of her first step towards independence and purpose; a story to reminisce with fondness and pride. It might seem a bit of an overstatement to speak about an internship experience as a journey that helped you discover yourself; she used to be cynical about it too until she did so herself. So, here’s some advice from a first-time wary, cynical intern: get off your couches, pause binge-watching those popular TV series everyone’s talking about, stop clicking that hundredth pouting selfie and just for once, go out there, find your passion, and chase it like the devil because, once you get bitten by the internship bug, it’s impossible not to get infected by the awesome superpowers* that can beat even the ones gained from the bite of a radioactive spider. P.S. The young dame is currently chasing another passion and another wonderful story (as an Unacademy educator), again through Internshala! Bitten by the internship bug already? Check out these cool content writing internships and set out for your voyage.